Home > For Hydrogen-rich water bottle, what is Ion membrane Electrolytic Technology? 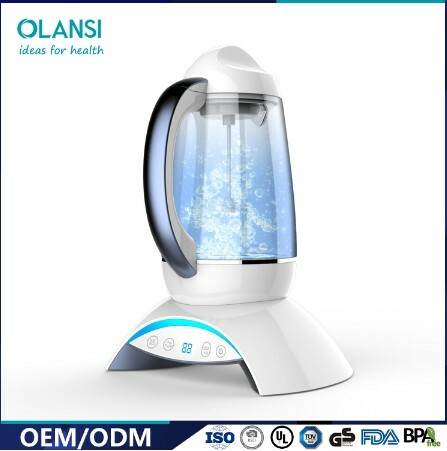 In recent years, OLANSI has made a new breakthrough of electrolysis technology in hydrogen rich water cup—Ionic membrane electrolysis technology. Some other scholars call this electrolysis process electrodialysis or membrane-assisted electrolysis. The Ionic membrane electrolysis technology means drinking water effected by the external electric field of hydrogen water bottle , through the ion exchange membrane ‘s selective permeability of anions and cations which only positive ions can pass , to increase hydrogen content in water. Ion membrane can effectively isolate negative ions and chlorine produced during the electrolytic process, and let them pass through the air outlet and make the water taste better. High quality and low energy consumption, no chemical consumption in the electrolysis process. Separate the electrolytic products, has treatment of anion and cation in drinking water, Bring healthier water to the user. New technology of pollution control has always been the focus of research, especially the treatment of toxic and high concentration refractory waste water. 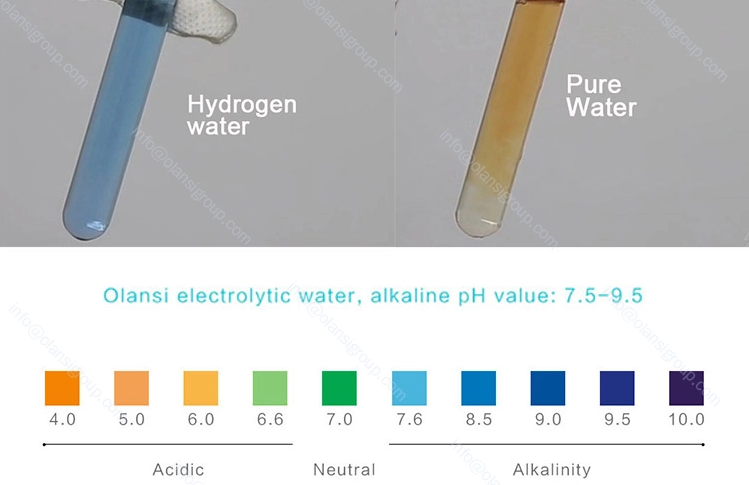 When people pay more and more attention to the harm of pollutants to human body，ion membrane electrolysis technology become popular because it’s the combination of electrolysis and electroosmotic function, it has the positive function to the human body,it;s clean and convenient. 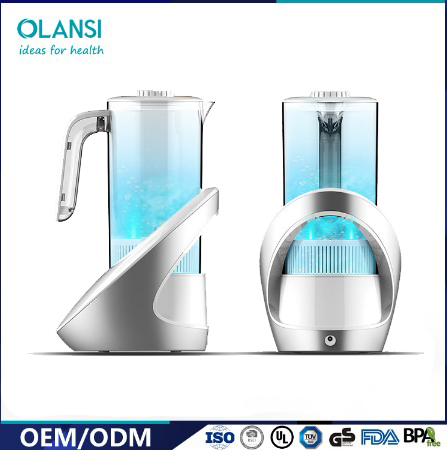 OLANSI is an OEM manufacturer of Hydrogen water maker, the Application of Ion membrane Electrolytic Technology is mature. The requirements of hydrogen and oxygen separation on ionic membrane are very strict, domestic self-developed ion membranes can not meet the requirements, our company use ion membrane of E.I.Du Pont Company from America, Fundamentally eliminate the production of residual chlorine and ozone. Welcome distributors and wholesalers to inquire more details of related products or cooperation.